First Minister Nicola Sturgeon has announced plans for a second Scottish independence referendum to take place in autumn 2017 or spring 2018. It comes as Prime Minister Theresa May prepares to formally launch Brexit negotiations. 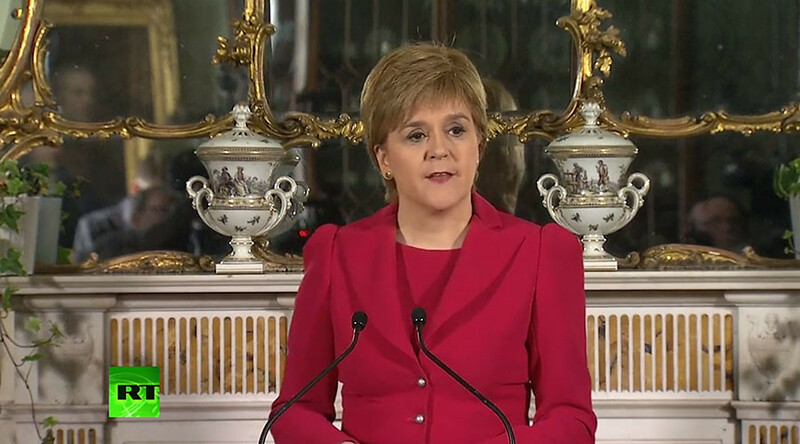 Sturgeon told a press conference in Bute House, Edinburgh, on Monday she will stand up for Scotland’s interest and make sure the Scottish people have a choice at the end of Brexit negotiations. Claiming the government’s plan for a ‘hard Brexit’ will “damage the economy and change the very nature of our society and country,” Sturgeon announced her intention to go to the Scottish Parliament in Holyrood next week to ask it to approve a second Scottish independence referendum. Sturgeon said another referendum is inevitable as she cannot “pretend” a “compromise agreement” will be reached with the government. The PM had failed to move “an inch in pursuit of compromise or agreement,” she said, instead putting up a “brick wall of intransigence," despite 62 percent of Scots voting against Brexit. She had pledged to hold a referendum ever since the UK voted to leave the EU if Scotland is denied access the single market. She said the chance for a second independence vote is “highly likely” after May failed to include access to the single market in her list of priorities to negotiate with the EU. Sturgeon told the BBC last week that an independence vote should be held in autumn 2018, the “earliest point at which a referendum would be appropriate,” as the terms for the UK to leave the EU will be clearer by that time. “Within that window, I guess, of when the outline of a UK deal becomes clear and the UK exiting the EU, I think would be common sense time for Scotland to have that choice, if that is the road we choose to go down,” she told the BBC. Her appearance at Bute House coincides with the final vote on the Brexit bill passing through the House of Commons on Monday evening. If the bill is passed, PM May will be able to trigger Article 50 as early as Tuesday, formally launching Brexit negotiations with the EU. 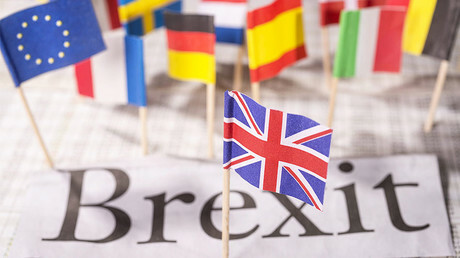 The bill had been voted down by the House of Lords, which called for two amendments last week: the guarantee for EU citizens in the UK of their right to stay, as well as allowing Parliament to vote on the final Brexit deal once EU negotiations come to a conclusion. It is thought the PM aims to trigger Article 50 as early as possible to avoid clashing with the general election in the Netherlands on Wednesday and EU celebrations of the 1957 Treaty of Rome. Sturgeon must have Westminster’s approval to hold another independence referendum. While May did not immediately reject granting Sturgeon the chance to call for a second referendum, she did scoff at the idea, saying Scotland has more important things to focus on, such as improving public services, and that most of the Scottish population is against another independence vote. Defense Secretary Michael Fallon said “there is no need” for a repeat of an independence vote after the “clear-cut” result of the past one in 2014. Speaking to BBC Radio Scotland, Fallon said: “Brexit negotiations haven’t started yet and they are going to be complex. Fallon’s claim that another referendum would be pointless was backed by Scottish Labour leader Kezia Dugdale, who said that another vote would break up the country even more than it already is. “Scotland is already divided enough. We do not want to be divided again, but that is exactly what another independence referendum would do,” Dugdale was reported saying by the Press and Journal. Sturgeon also faced backlash from Scottish Conservative leader Ruth Davidson who said the First Minister had been “utterly irresponsible” by calling for a second referendum, and accused her of ignoring her own people’s will. “Nicola Sturgeon promised the 2014 referendum would be 'once in a generation,’” the BBC reported Davidson saying. The latest Ipso MORI poll shows half of Scotland’s population would favor independence.